With its network covering the likes of Nosy Be, Air Madagascar grants access to remote, off-the-beaten-track destinations without charging an arm and a leg! Air Madagascar’s ticket prices are usually slightly cheaper than other major airlines offering flights to this island destination! As one of the airlines that has made travel to the Indian Ocean islands super easy, especially for those in Europe and Asia, everyone can enjoy these beautiful islands! Established in 1961, Air Madagascar is the flag carrier of the Indian Ocean island, famous for its lemurs and other unusual wildlife. The airline covers a network of 50 destinations in 11 countries across Africa, Asia and Europe with its relatively small fleet of only 10 aircraft. While you may not think that an island requires too much air traffic, Air Madagascar operates a whopping 20 domestic routes to the country’s major and secondary cities, such as Toliara and Tolagnaro Fort Dauphin, as well as a range of popular tourist destinations such as Nosy Be and Sainte-Marie. Book Air Madagascar flights to Paris, Port Louis, Antananarivo and other exciting places! Air Madagascar recently switched over from using a weight concept, to employing only the piece concept, which allows passengers slightly more leeway with their luggage limitations. Premium Economy - 2 x 23 kg / 2 pieces hand luggage, combined weight of 18 kg. Business - 2 x 32 kg / 2 pieces hand luggage, combined weight of 18 kg. Air Madagascar does not currently offer web or mobile check-in options, so to the counter you will go! If you are flying a regional or international route, be sure to arrive at the airport and check in at least two hours before the scheduled departure time of your flight. 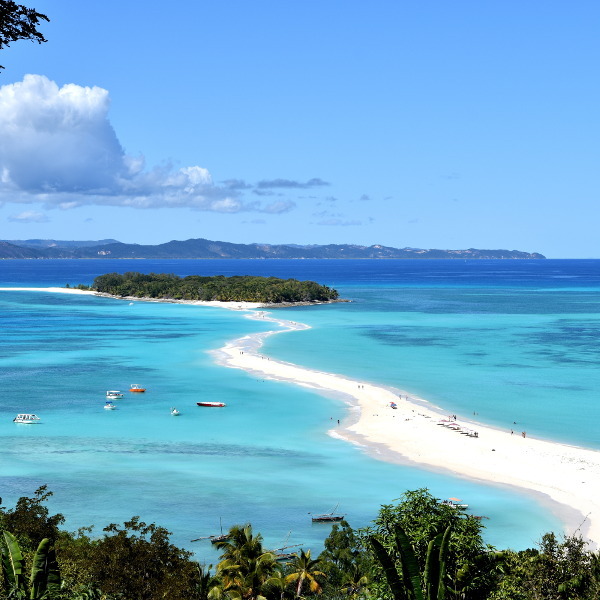 If you are travelling within Madagascar, arriving an hour before scheduled departure time should be sufficient. All passengers, including children and infants, are to be in possession of their identification documents, a passport if flying abroad, as well as any visas required for further travel. Should you not have the relevant travel documents, the airline does reserve the right to deny you boarding. Sit back, relax and enjoy the wide selection of films, music, games and reading material on board. Duty-free shopping is available on long-haul flights, with a catalogue in the Air Madagascar inflight magazine. Business Class passengers can enjoy access to the private lounges in Paris, Marseilles and Antananarivo. Enjoy even more comfort on board with luxurious, reclining seats and ample legroom. Premium Economy travellers can benefit from priority check-in and boarding, onboard power charging stations, reclining seats and noise-reducing headsets. Air Madagascar’s main hub is located at Ivato International Airport in Antananarivo. Their network covers 50 destinations in 11 countries across Africa, the Indian Ocean, Europe and Asia.